Grab Bike Baron for a bargain price! "What happens when you put the developers of Minigore, Death Rally and Aqua Globs together with the composer of Angry Birds and Trine? Pure magic. Bike Baron is a ride you will never forget!" 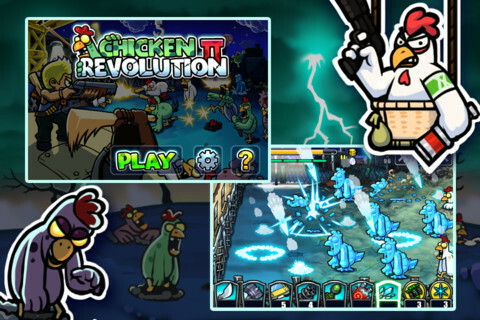 "The long war of humanity and chickens connected by Chicken Revolution ends with the advent of the zombie chickens. Zombie chickens that appeared suddenly attack and infect all living things including humanity and chickens. People and chickens managed to survive cooperate with each other for survival..."